Calling all St. George Golfers! - Coyote Springs Golf Club Nevada - A Jack Nicklaus Golf Course, the best in golf specials and packages for the Henderson, Mesquite, St. George and Las Vegas area. At Coyote Springs Golf Club we are incredibly proud of our Jack Nicklaus designed course, our amazing golf specials and golf packages, and the beauty of the surrounding Las Vegas area. Nothing in Henderson, Mesquite, or beyond compares to the stunning Nevada views and vistas from our course. Whether you’re walking the front 9 at daybreak or finishing that last putt just moments before sundown we invite our St. George neighbors to come and experience one of the best golf experiences Nevada has to offer. Visiting golfers from St. George can take advantage of this hallmark setting that consists of rolling terrain overlooking a prehistoric riverbed-the Pahranagat Wash-which bisects the Coyote Spring Valley. To the east of the wash, rolling hills transition to a natural mesa commanding excellent views of the valley and surrounding mountain ranges. West of the wash, hills give way to flatter terrain with exceptional views of the mountains. Nestled amidst this natural splendor is our Jack Nicklaus designed course. The course plays to a par 72 and ranges from 5,349 yards from the forward tees to 7,471 yards from the championship tees. Eleven lakes come into play on the golf course many consider to be one of Jack Nicklaus’ finest desert creations, sure to offer visitors from Henderson, Mesquite, St. George and even near by Las Vegas a golf experience they won’t soon forget. 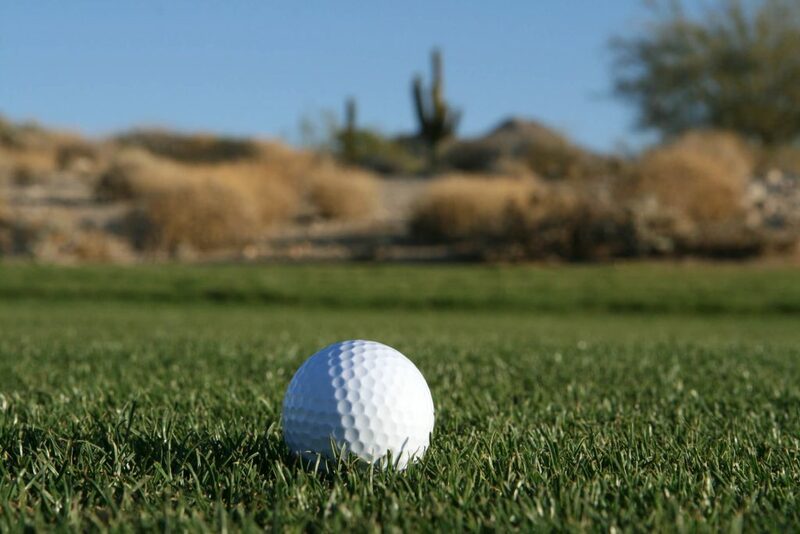 Come see why we feel that when you golf Coyote Springs you golf Las Vegas’ best! While visitors from St. George and anywhere in Washington County, Utah are not eligible for our Nevada resident golf specials, they can take advantage of joining our Coyote Club to receive reduced green fees. A valid Utah Drivers License with a Washington County address is all that is required to join the Coyote Club and enjoy some of the best golf Las Vegas has to offer at an even better.